According to HIPAA rules, all patients have the right to see and have a copy of their own medical records. However, because many Methodist employees have easy access to those electronic records, Methodist policy also specifies how medical records can be seen and used. Under no circumstances may employees edit or update their electronic health record or that of their family members, including minor children. This includes using Cerner for scheduling appointments. FairWarning is sending alerts on every employee who is making changes or scheduling appointments in their record or family members’ records. Supervisors are alerted to all employee violations of Methodist policy and staff will be disciplined according to current HR policies. Supervisors: Please post this Notice and discuss in your staff meetings. 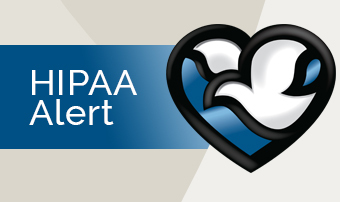 If you have any questions about our policy on "Accessing Your Own Medical Record", please contact HIPAA Privacy Officer Zorana Vojnovic at (402) 354-6863 or zorana.vojnovic@nmhs.org.